Fresh off the back of headlining the BBC 6Music Festival, they assembled in the West Country to begin the newest chapter in their career. Undeniably, for a band of Hot Chip’s pedigree, great performances are ten a penny. The illustrious cult status they behold is admirable; and their gig at the Trinity Centre was to be no different. Emerging out of darkness and onto a tropical smoke-shrouded stage, Hot Chip got into gear with a gleaming, criss-crossing performance of Huarache Lights. In a euphoric bamboozlement, the London septet transitioned into One Life Stand, by which point they had moved from third gear into fifth. Pounding dance rhythm Flutes slid into new track Hungry Child, and the melancholic classic Boy From School had a makeover live to create a smorgasbord of indie electronica technological goodness. At times it felt like being in a club; being assaulted by smoke-dampened neon lights and deeply melodic music. The Hot Chip enigma synthesised with a completely ecstatic sequence of Ready For The Floor and Over and Over. Their two biggest hits providing 10 or so minutes of wonderment it is still hard to get over. Performing an encore of a bizarrely heavy cover of the Beastie Boys’ Sabotage, the band bid their goodbyes in the form of full-frontal dance number I Feel Better. With a run of dates announced for Autumn, the unveiling of a few new tracks and the improvisation and reworking of the old leaves a lot of rocks unturned in the Hot Chip sphere. However, what their Trinity Centre performance showed is that their new chapter will lead to yet another peak in their extensively energetic and glorious existence. 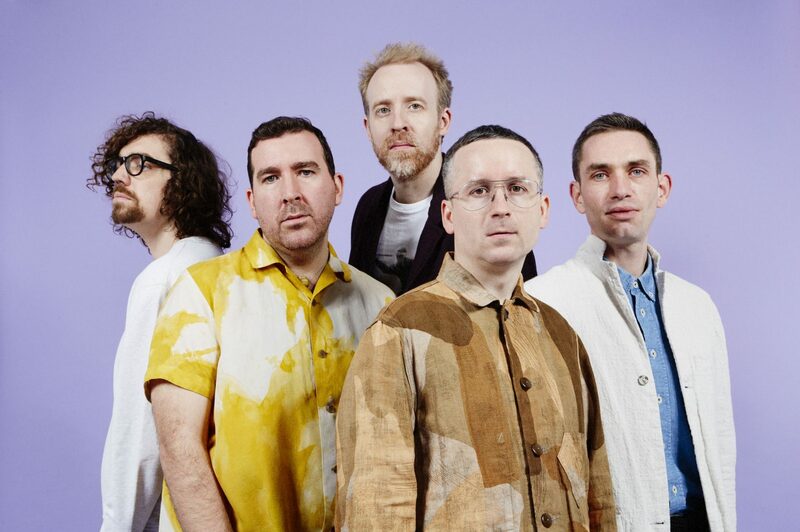 Hot Chip release their new album ‘A Bath Full Of Ecstasy’ on June 21st. Pre-order here. Tickets for the Autumn tour are available here.